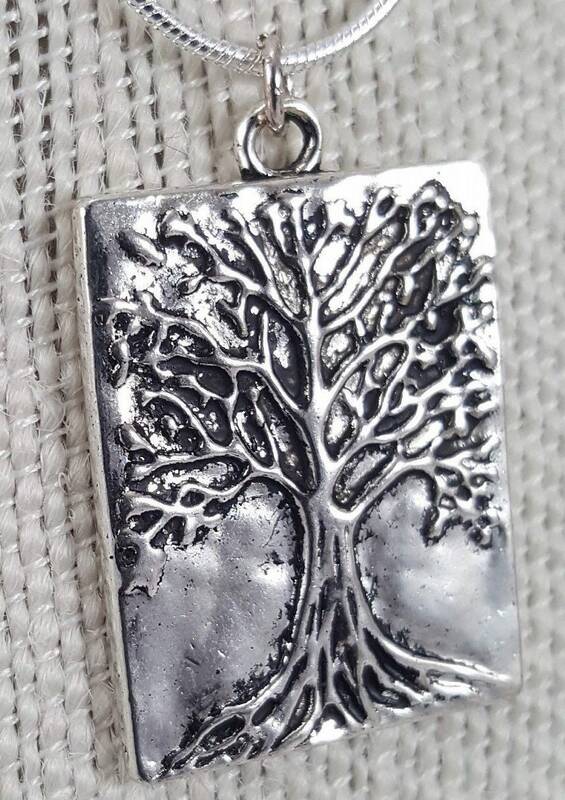 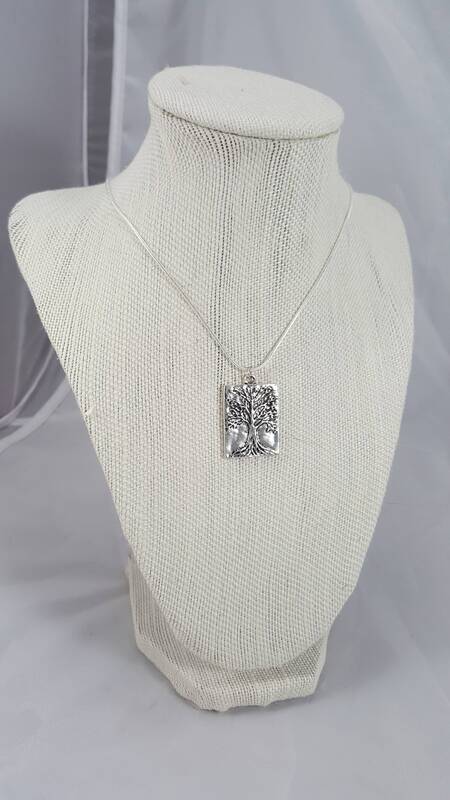 19 Silver chain necklace with a 1.75 inch silver family tree pendant. 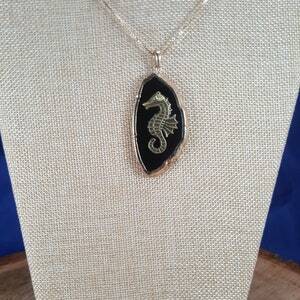 Seahorse black agate pendant on a 21" gold chain. 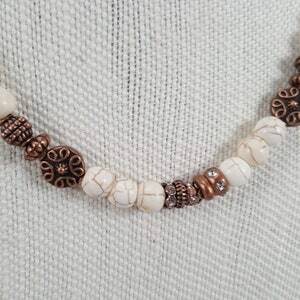 A calm and mild-mannered creature, the seahorse is seemingly content to roam the seas. 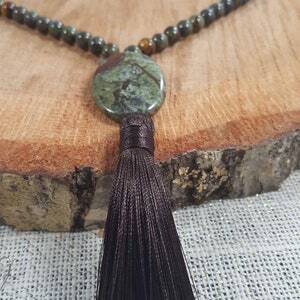 Mala Prayer pendant, Natural dragon blood Jasper gemstones with 2" dragon blood Jasper pendant. 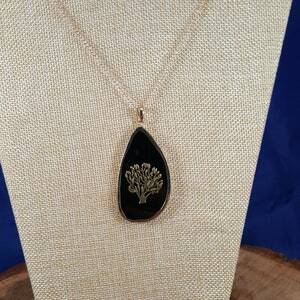 Tree of life on a black onyx agate with a 22" gold chain.